Responsive Web Design by MIS, Inc.
We have over 20 years of experience designing websites. We’ll use the latest technology to create a responsive website that looks great on all devices, stands out from your competition and enhances the value of your company. Is your website ready for mobile traffic? What does your website look like when viewed through a smartphone? Mobile devices that surf the web are now outselling computers, so you can be sure that people are trying to see your website on their iPhone, Android, iPad or any other mobile device out there. A regular website will be difficult to navigate on these devices due to the fact that they have a much smaller screen than a regular computer. If they cannot get around your site, potential clients could very well take their business to a competitor with a mobile optimized website just because it was easier for them to navigate through the online services or products they are shopping for. On the left, is an example of a website that has been optimized for display on mobile devices. On the right the same website, as it appears by default on an iPhone‘s screen without being optimized. On the one that isn't optimized, the viewer has trouble tapping a navigation button to move around the site and has to zoom in to increase the size of the text. It can be frustrating. Which website do you think would serve customers needs in a more efficient way? Your website should be designed to offer the best experience possible for your visitors based on the device they are using to view your site on. If they are on a desktop or laptop computer with a large screen, your site should adjust accordingly. 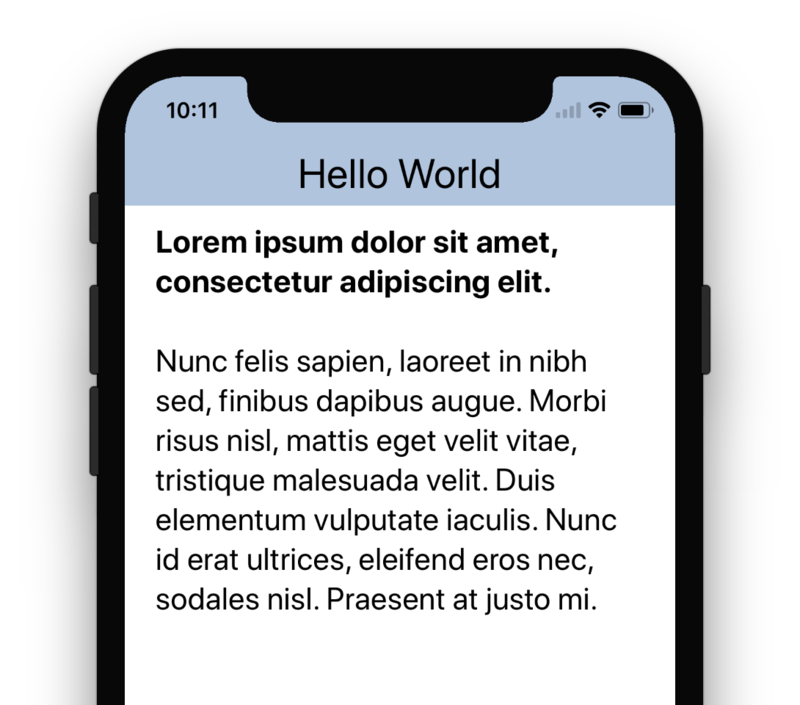 If your website is being viewed on an iPhone or Google phone, it should be designed to display a slimmed down version of your site that is designed for a smaller screen. At MIS, Inc. we can use Responsive Web Design techniques to make sure your website is designed to offer the best customer experience for three screen sizes. Small (iPhone, Samsung Galaxy, Google Pixel), Medium (iPad, Galaxy Tab, Amazon Fire Tablet), and Large (Desktop and Laptop). Want to know how your website looks on different mobile devices? Let our experienced team help. Contact us and we will send you a screenshot of your website as displayed on the most relevant smartphones, no strings attached! Your competition may already have a website design that displays well on iPhones and other mobile devices. A potential client may choose to do business with them simply because their site worked better on the mobile device they were using to surf the web. In this economy, can you afford to lose business from people who are trying to access your website? 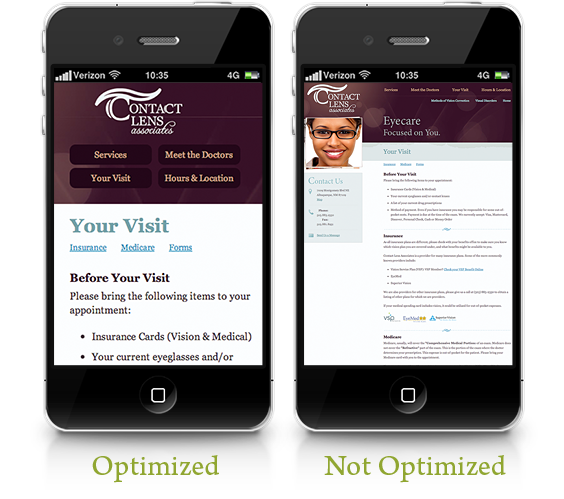 Optimizing your website to work on iPhones and other mobile phones is critical. Contact MIS, Inc. today as we are experienced mobile website designers.